Danganronpa V3: Killing Harmony (game, 2017). A visual novel adventure video game by Spike Chunsoft JP, NIS America (PS4, PSV) WW, Spike Chunsoft (Win) WW/Spike Chunsoft Co., Ltd./NIS America, Inc. Developed by Spike Chunsoft Co., Ltd., Danganronpa. Official Trailer. Danganronpa V3: Killing Harmony is a visual novel adventure video game by Spike Chunsoft JP, NIS America (PS4, PSV) WW, Spike Chunsoft (Win) WW, Spike Chunsoft Co., Ltd. and NIS America, Inc., developed by Spike Chunsoft Co., Ltd. and Danganronpa. Danganronpa V3: Killing Harmony - PlayStation Experience 2016: Reveal Trailer | PS4, PS Vita. High school student Kaede Akamatsu is kidnapped and awakens in the Ultimate Academy for Gifted Juveniles, where she meets fellow student Shuichi Saihara and 14 others. The group is abruptly accosted by a series of bear robots also known as the Monokubs who expose them to a "Flashback Light". When Kaede next awakes, she remembers her life as the Ultimate Pianist, while Shuichi is the Ultimate Detective. Their other classmates each have their own talents and histories. Monokuma arrives and informs the students that the only way to escape is to successfully kill another student and get away with it in a subsequent Class Trial. If nobody is killed within two days, Monokuma will prematurely end the game by killing all of the students. 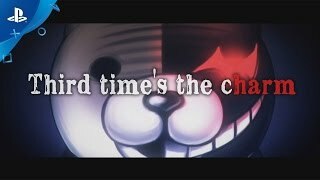 Shuichi reasons that there must be a mastermind controlling Monokuma, and Kaede works with him to set a trap to expose the mastermind just prior to the time limit. However, concerned that there would not be enough time to stop the mastermind, Kaede secretly alters the trap to kill the person it catches. Unfortunately, amnesiac Rantaro Amami is caught and killed instead of the mastermind. 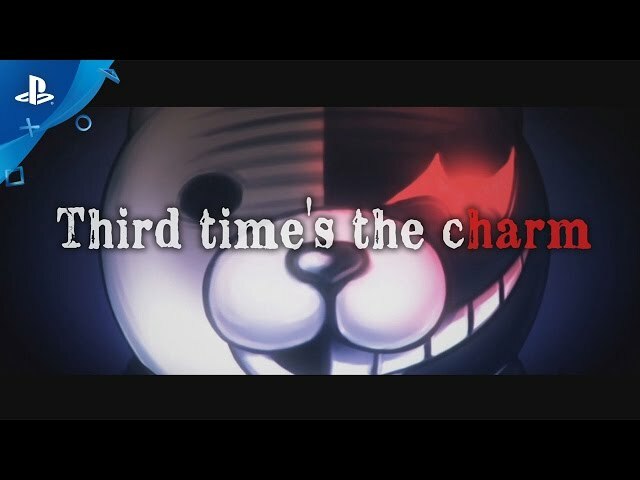 During the following class trial, Kaede attempts to uncover the mastermind but fails. She confesses to her crime, encourages Shuichi to keep going, and is executed. Although brokenhearted at Kaede's death, Shuichi soon develops a friendship with the Ultimate Astronaut, Kaito Momota, and the Ultimate Assassin, Maki Harukawa. Several more murders take place, all of which Shuichi is able to solve, though he is often vexed by the Ultimate Supreme Leader, Kokichi Oma. The students find additional Flashback Lights and gradually remember that they are students of the reopened Hope's Peak Academy, who were sent into space in the hopes of preserving humanity after meteors began to fall upon the Earth and a deadly epidemic had ravaged the remainder of the population. Kokichi reveals the outside world to be destroyed and claims to have returned the spaceship to Earth and masterminded the killing game before kidnapping Kaito. Danganronpa V3 continues the same style of gameplay as the first two Danganronpa games, which is split into School Life and Class Trial segments. During School Life, players interact with other characters and progress through the story until coming across a murder, after which they must gather evidence for use in the Class Trial. Like in previous games, Class Trials largely revolve around the Non-Stop Debate, in which characters discuss the case, with the player required to use Truth Bullets containing evidence against highlighted statements determining whether someone is lying or telling the truth. During Non-Stop debates that appear to have no clear contradictions, players can now use Lie Bullets to break the conversation with a False Counter. Returning from Danganronpa 2: Goodbye Despair are Rebuttal Showdowns, in which the player must debate with a specific character in order to reach a contradiction. Danganronpa V3: Killing Harmony was scheduled to be released by Spike Chunsoft JP, NIS America (PS4, PSV) WW, Spike Chunsoft (Win) WW, Spike Chunsoft Co., Ltd. and NIS America, Inc. on January 12, 2017, on September 25, 2017, on September 26, 2017, on September 29, 2017 and on October 6, 2017. This video game is available for the following platforms: PlayStation 4, PlayStation Vita, Microsoft Windows.